Great to see a write up in The Independent- Which would you choose? 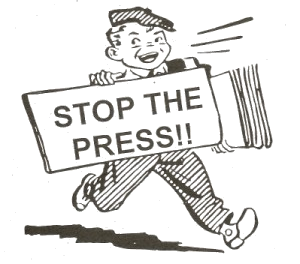 Whether you suffer from coeliac disease or gluten intolerance, it can be a real struggle living a “free-from” life. While gluten-free menus are cropping up everywhere and supermarket aisles are booming, it’s the everyday things that still seem difficult – like the office party or your child’s birthday. But being gluten-free doesn’t mean you have to miss out. 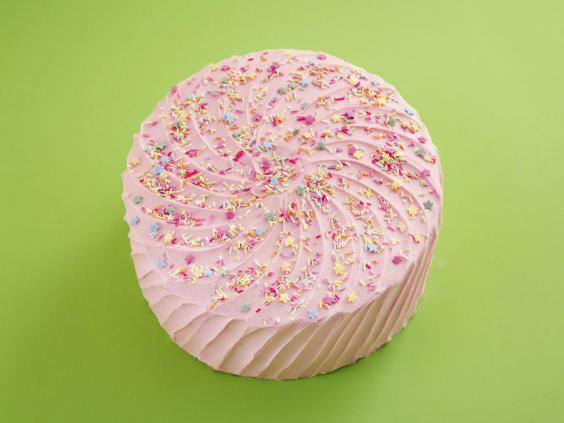 We took on the task of reviewing the best gluten-free birthday cakes, from supermarket favourites to handcrafted offerings. While the cakes are all gluten-free, many accommodate for additional allergies too. We reviewed each item on presentation, price, cross-contamination prevention and of course the big question: does it taste like the real thing? Sponge Cakes’ premise is simple: delicious cakes sent to your door with nationwide next day delivery, provided you order before 2pm. Exciting enough, but when we realised that we could customise them, upload our own photo and make them without gluten (and dairy, if needed) we were sold. The company bakes gluten-free on dedicated days, completely cleaning between these days to ensure there are no issues with cross-contamination. We opted to have a personalised sponge photo cake and it arrived perfectly intact. It was full of thick icing and rich jam, with multiple taste testers confirming it tasted just like the real thing. Top marks for originality and delivering on taste. Unfortunately, these luxury cakes are currently only available across London, but they’re certainly worth the trip. Our offering was beautifully presented in the famous Hummingbird Bakery packaging and packed with decadent buttercream and sprinkles. It’s certainly one of the priciest of the bunch, but it didn’t scrimp whatsoever on the quality of ingredients and the size. Hummingbird Bakery does take precautions to avoid cross-contamination and has consulted Coeliac UK on how to do so. However, it does acknowledge there is a risk, since it bakes gluten-containing cakes in the same bakery. Marks & Spencer is known for having a great “gluten-free” range, and is actually in partnership with Coeliac UK. This buttercream and jam-filled sponge is no exception. 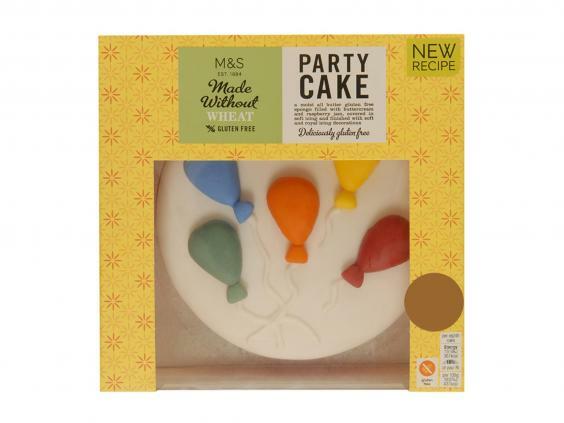 The cake is everything you’d expect from M&S: great price with great ingredients. It’s not the most decadent of the bunch but it does the job and, given its simple decoration, it’s the perfect fit for a range of celebrations. Here’s one for those with multiple dietary requirements. This birthday cake is designed for those on a paleo diet – so those who are not only gluten-free but also eliminating dairy and sugar. As a health-conscious cake, it’s reasonably priced. 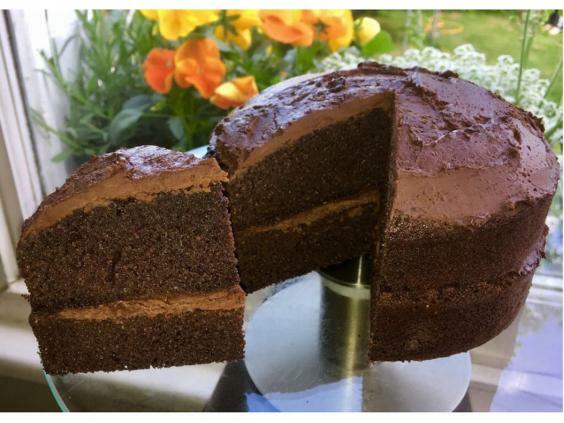 Rather than using processed ingredients, it uses coconut flour, honey, eggs and 70 per cent chocolate. We must admit that its ingredients meant it lacked sweetness when compared to the rest of the bunch. 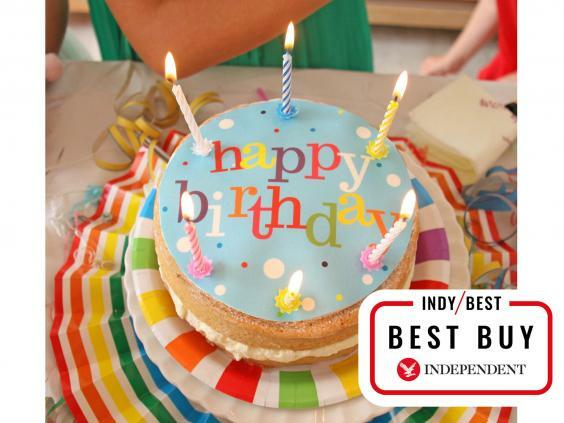 However, if you’re in the market for the healthiest birthday cake, we’ve probably found it. Delivery is nationwide. As we’ve included London-based bakes in our offerings, it’s only fair to look at what’s available outside the capital too. 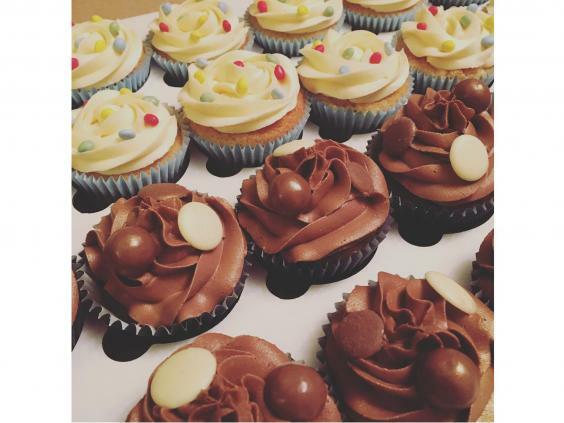 Pure Bake is a new company in Southampton that specialises in creating free-from celebration cupcakes. We tested a range of its gluten-free cupcakes, but its red velvet version with a choice of real or cashew cream got top marks. It was remarkably rich and moist (an unexpected surprise since some gluten-free flours taste a little on the dry side). Pure Bake’s delivery covers Southampton and most of Hampshire, and the easiest way to order is by email or telephone. There are a couple of supermarket offerings on our list. 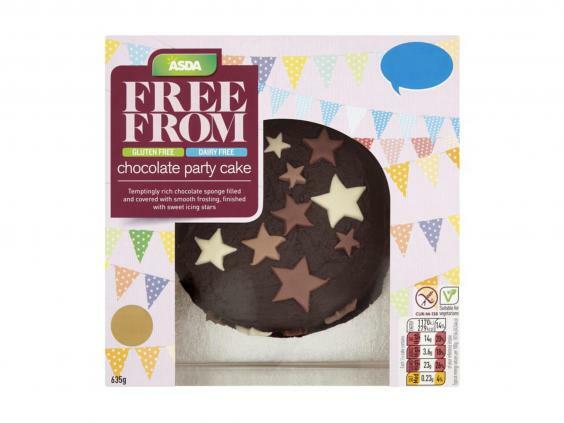 Asda doesn’t offer anything unique in terms of its presentation (the star design is a little plain, but it does make it gender- and age-neutral). The cake itself is delicious. It is packed full of chocolate with a thick and gooey layer of frosting – even more impressive when you consider that it's also dairy-free. 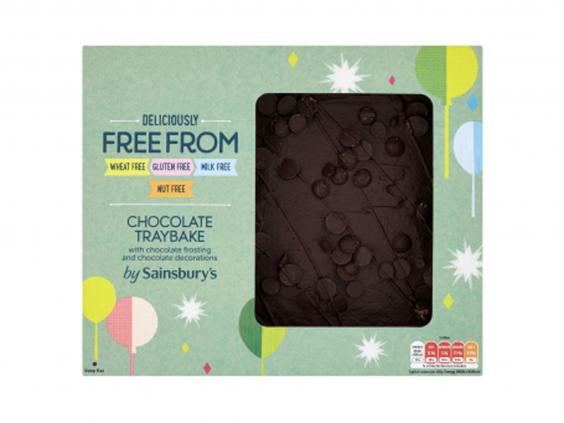 No wonder it won Gold in the children's category of the last FreeFrom Food Awards. 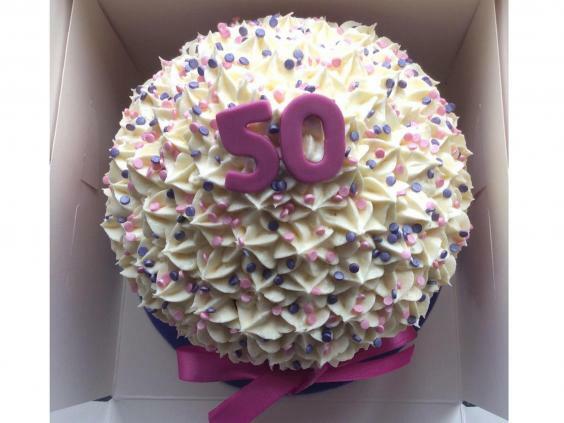 Crestwood Cakes is a West Midlands bakery which specialises in gluten- and dairy-free celebration cakes. After struggling with allergies, the owner wanted to set up a local service that caters to those with intolerances. Separate equipment is used for each intolerance, and it always bakes gluten-free first thing to avoid cross-contamination. 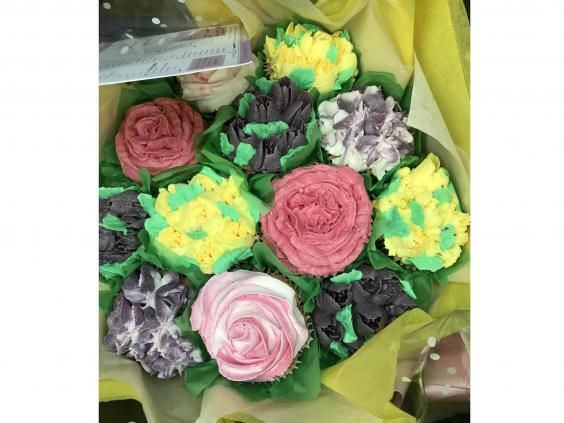 The handmade giant cupcake tastes great but what sets it aside from the supermarkets is the chance to order something bespoke. All cakes can be customised with different toppings, sponges and personalised decorations. Best ordered by email or telephone, but delivery isn’t nationwide, so double check before you buy. We realise we’ve gone slightly off the birthday cake track for our last entry, but given that gluten-free doughnuts are extremely difficult to get your hands on, any coeliac would be ecstatic to receive these for their birthday. 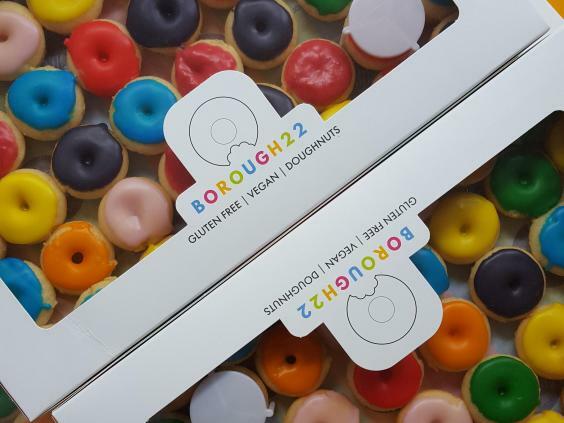 Available individually in Selfridges (Birmingham, Manchester and London) as well as by the box with a greeting card online (nationwide delivery), Borough 22 offers sugary-sweet, gluten-free, vegan doughnuts in all kinds of flavours. Its products are separately certified by an independent laboratory to ensure they're suitable for coeliacs.